Software platforms that are used by multiple organizations and businesses that have a need for a payments component generally have a need for integrating to a credit card processing API. It’s usually later on that integrating to an ACH processing API comes to light as being an advantage to the using organizations. In an ideal world, integrating to solve both payment rail needs would be thought of early on and accomplished with a single integration, eliminating the need for what amounts to duplicate work later on. Credit card integration first; we see it all the time. Credit card transaction dominate the online transaction space, at least overall. However, for businesses and organizations that have a subscription based model with recurring payments, this is far from the case. 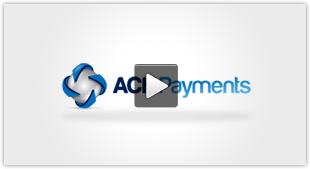 ACH payment transactions are generally favored by these businesses that have recurring payments. Why? 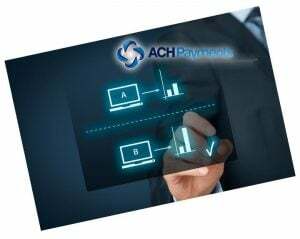 The single most important reason is because of the lower processing costs of ACH transactions versus credit card processing. Credit card transactions in the online world are charged at what are MOTO rates (card not present). MOTO rates bump the processing costs upward to 2.7% and higher. Rates for ACH transaction processing don’t change by origination method alone. So, the merchant organization that accepts ACH transactions via internet protocol are charged the same rate as a merchant having a physical check that is converted to an ACH. Typically at the sub 30 cent per transaction rate. What can the reduced rates of ACH processing do for overall savings? If we take a merchant business that has 1,000 monthly transactions at an average sale amount of $100 and convert 100% of them from credit card transactions to ACH transactions, the bottom-line savings is around $250, monthly. Is 100% conversion possible? Depending on the business and what they provide, it is. Data from a 2012 survey of ~ 100 customers of ours in a single business sector showed ACH adoption rates anywhere from 20% to 100%. Those reporting the lower adoption rates were fairly new in implementing ACH payments. Those with 100% adoption simply made it policy and mandated ACH. Now being able to mandate ACH as policy requires clout in the marketplace, a commitment and some incentive for adoption. Nevertheless, those businesses who had higher adoption rates were certainly adding fiscal health to their bottom-line. How much can your organization or business save? Why not give our handy ACH Savings Calculator a spin! Bottom line is this: If you have a software application that has using organizations that might benefit from ACH payment processing, why not save some time and effort during the integration process with an API that can facilitate both a credit card and ACH integration?